Heinlein’s B-sides — an apt description. Of course, Heinlein’s B-material still outclasses most other writer’s best stuff. All You Zombies, fyi, is a rework of an idea he used in a much earlier, more elegant, story, circa 1940, called By His Bootstraps. Worth a read if you can find it. Oh – I agree! Heinlein at his worst is still pretty darned good. I know I’ve read By His Bootstraps, but it was some time ago. (And possibly under an alternate title. Maybe in Expanded Universe??) I’m about to sort out a bunch of in-storage books as we now have room to shelve them on the newly finished “library wall” in my son’s cabin, and we’re going to collect all the Heinleins from here & there and put them together, and I know I’m going to be re-reading quite a few. 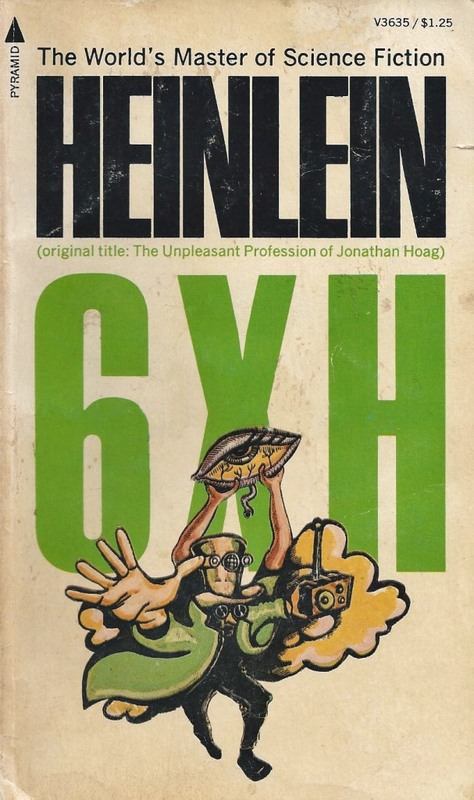 Heinlein very often re-used and developed ideas, don’t you find? I enjoy reading his notes in anthologies and his biographical writings on how he tinkered with his plots, characters and wider concepts; it puts a lot of his more “out there” stuff into context. Interesting author. And much as some of his pontificating, especially in his later work, rather repels me, I still retain a strong affection for someone who had such a strong sense of himself as to stubbornly keep insisting that his opinions were the only sensible ones. Sometimes I agreed, other times, well…not so much! Always worth reading, though. Even the B-sides, to remind oneself of how great the A-sides are, and how much work it took to get them to their high standard.